Around 1940. 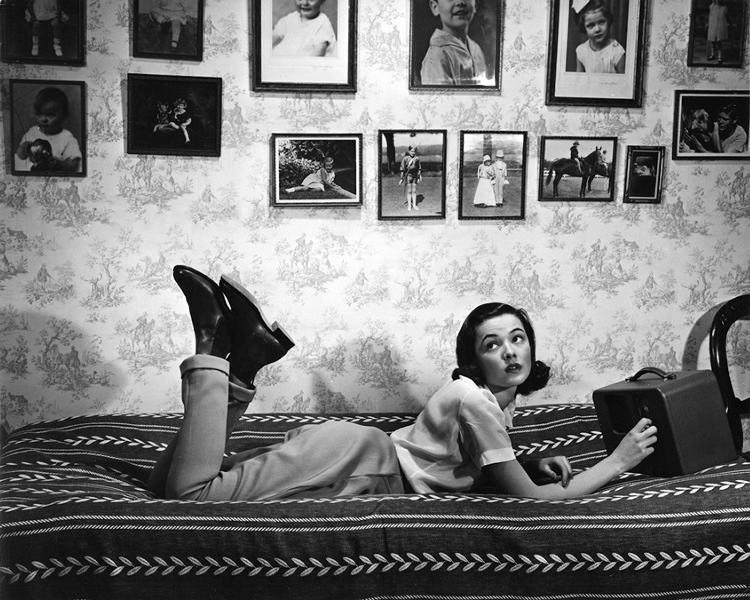 Gene Tierney lies on her bed at her parents’ house, tuning in a portable wireless. The photos on the wall are of her. Photo by Hart Preston.